engines and several improvements that make it more aerodynamic than its predecessor. The Learjet 60 was designed with an all-new inboard wing cuff, an all-new wing-to-body fairing, and a new engine pylon to accommodate the new turbofan engines. The Learjet 60 is renowned for its performance. At max weight, this jet can climb to 43,000 feet in less than 14 minutes. The Learjet 60 is also noted for it’s ability to climb quickly to high cruise levels at fast cruise speeds. It has a transcontinental range of 2,515 sm and once at cruise level, it can reach speeds of up to 536 mph. It is not only a very reliable jet, but it is also an economical option compared to other aircraft in the midsize jet class and more comparable to many light jets as far as fuel consumption. The cabin of the Learjet 60 is the largest in the Learjet family. baggage compartment that provides 28 cubic feet of baggage space and another 31 cubic feet of internal storage. system allow for better ground handling, and stronger wheel brakes help with landings and ground control. steer-by-wire nosewheel, drag-reducing winglets, and a heated windshield, just to name a few. To request a Learjet 60 for your next trip, please contact us. We would be pleased to provide you with a flight quote for your next trip. excuse for being late and causing others delays. Time is money. documents with you and have them readily accessible. appropriate for the occasion and avoid strong fragrances that could be irritating to others on board. 4. Pack light. Do not bring more baggage than allowed and if you don’t know what’s appropriate, ASK! additional crew including flight attendants. 6. Where do I sit? Don’t board or sit until senior executives choose their seats. It is not impolite to ask your boss where they would like you to sit, but if you must choose your seat yourself, be mindful of privacy and who will likely be conversing during the flight. 7. Talk the talk. Keep business conversations relevant or let the boss initiate the topic. Treat this time as an extension of your workday. If the opportunity for non-business conversation arises, keep it light and steer clear of any controversial topics. 8. Can I have another? Keep your alcohol intake to a minimum. It is usually pretty safe to follow your boss’s lead, but be smart. Contribute to the conversation to show you’re a valuable asset to your team. 9. Respect the amenities. This should go without saying, but keep plane lavatories clean and realize that you will have to sacrifice some privacy because of tight accommodations. After a long flight, allow everyone to freshen up before deplaning, especially if headed right into a board meeting. 10. Lights out. If the lights are out and the shades are drawn, it is designated sleeping time in the cabin. If you’re not planning to sleep, be respectful of other passengers trying to rest and keep the noise and lights to a minimum. Be sure to contact us for your next trip, we’re always happy to help! 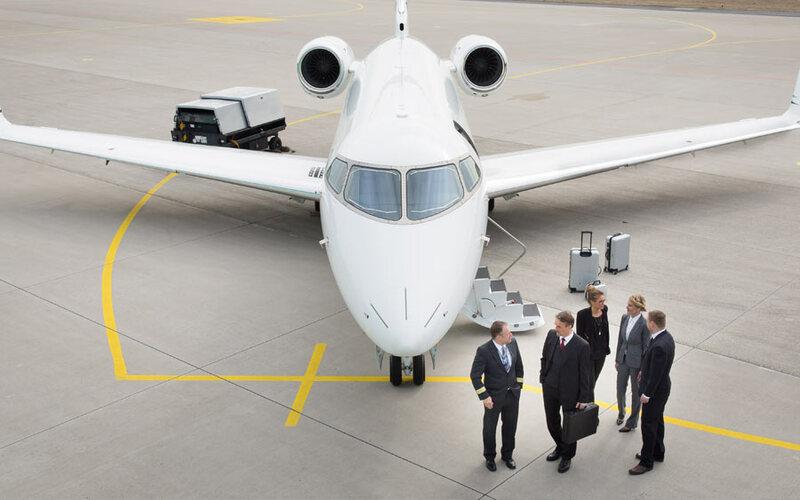 FlyPrivate: In Part 1 of this topic on Servant Leadership and Followership, you spoke about the relevance of Servant Leadership for executive assistants and how executive assistants can take on a Servant Leadership role. We are excited to hear about a lesser-known concept called Followership, which you consider more relevant for the executive assistant role. Can you please shed some light on this interesting topic? Jan Jones: My previous article spoke about the idea of the Servant-Leader, a concept created by Robert Greenleaf, which is now a widely accepted business practice. The concept of Followership developed about 30 years ago when Robert Kelley concluded logically that discussions about Leadership must also include discussions about Followership, because leaders don’t exist in a vacuum without followers. I’ll lay out Kelley’s five basic styles of Followership, but the one that interests me the most, is the concept of the Star Follower – self-managed employees who think for themselves and whose hearts are in their work. 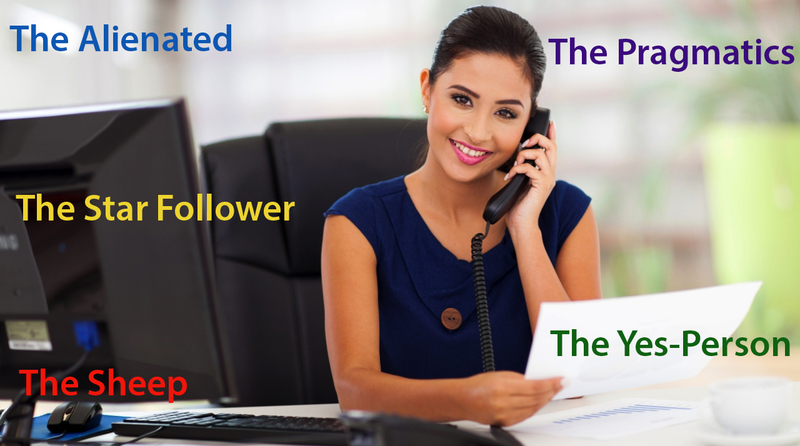 Many executive assistants will identify and aspire to this style of Followership. “Followership” got the same initial negative reaction as the idea of “servant” leadership, but there was enough substance to keep people who weren’t seeking out a leadership role, happy. Assistants, in particular, will agree that “Making the assist, is just as important as making the score”. In sports, an assist is the person who passes the ball to a teammate, helping that teammate to score. This is a primary element in the role of the assistant. Doing everything they can to make it possible for their executive to “score” – to hit their targets, their objectives, their goals. While Kelley’s Five Basic Styles of Followership apply to all employees, assistants will find it helpful in understanding themselves, their fellow assistants and work colleagues. It is not meant to be a personality test and I am not encouraging you to label people. This is a tool, a guide to help get perspective on ourselves and the people we work with. These are work styles we all deal with every day. Which one are you? How can you use these styles to assess yourself and look for ways to enhance your performance? In whichever description you see yourself, remember it’s not a verdict. It’s simply an indicator that can give you perspective and help you make the leap into more effective, next-level practices. The Sheep: Passive people who look to the leader to think and to motivate them. When applied to assistants, I don’t see this as a negative if assistants are completely new to the role and must look to the leader to think and direct them. Without experience in the job, they need to be shown the ropes. Paying attention to what is asked of them, they can develop their anticipation ability. The skills they learn in this initial stage will help to create the foundation on which to build a successful EA career. This is a time of learning, observing, absorbing. It should not be taken lightly. Many of the skills I learned in my very first job are skills I developed and built on over my career. They consistently set me apart from other assistants who were not trained as effectively. The Yes-Person: Positive people who support their leader, but look to the leader for thinking, direction and vision. When a task is done, they ask the leader “what do you want me to do next?” Yes-people say “I’m the doer. The boss is paid to think, and I do the work”. The Yes-Person has a good attitude and a willing heart, but they have not yet learned to think independently and require guidance. This is acceptable for less-experienced assistants who are gradually honing their craft. Many assistants in this phase see themselves as helpers who faithfully and willingly carry out their executive’s wishes. Ideally, this is the time to also start incrementally developing initiative, the ability to reason, and taking an interest in the business, looking for ways to gradually branch out into independent thinking and acting. If an assistant who has been around for a while is a Yes-Person, productivity can suffer. They are capable people who do their tasks well, but they often stop short when it comes to anticipation and resourcefulness, two characteristics that are vital for an assistant to be fully effective in the role. I encounter many assistants who fit this category. Comfortable where they are, they’ve gotten by and see no need to change, particularly if they’ve been with their executive a long time. One assistant told me she needed to “hang on just a bit longer” before her retirement date. But what happens to these assistants when their executive moves on? If you are a Yes-Person who has been in the same job a while, use your valuable job knowledge to step out of self-imposed limitations and find ways to increase your value through participating in your job more. You are a solid producer. Now maybe it’s time to give innovation a shot. Offer suggestions, volunteer for projects, initiate employee programs. You will enjoy a new enthusiasm for your job and your life. The Pragmatics: Pragmatics are fence sitters, looking to see which way things are headed before they get on board. They do what they must to survive and are invested in maintaining the status quo. Pragmatics know their job, but are known to be mediocre with execution. Many are invested in doing the minimum they can get away with. Most of us have come across such co-workers and felt a sense of frustration having to pick up the slack for them. Pragmatics are lucky if they fall into a job that allows them to have their wait-and-see attitude. My concern is the implication this has on the image of assistants in general, portraying them as lacking gumption and get-up-and-go, resulting in being paid the minimum for doing the minimum. In this time of explosive business and technological growth, trying to maintain the status quo is a fool’s errand. Pragmatic assistants, please come down off the fence and challenge yourself a little. Start conquering inertia by making small adjustments. Offer to help your colleagues. Take on an additional task or two. Communicate more and start getting comfortable with uncertainty to wake up your senses and lead you to new opportunities. The Alienated: They think for themselves, but they are disgruntled and cynical. They see themselves as mavericks, the only ones with courage to stand up to the boss. Tending to have a chip on their shoulder, they are viewed as rebels without a cause. Intelligent, capable and sometimes a cut above the rest, I regret that many assistants are buying into the idea that rebellious, sullen behavior proves they are important thinkers, individualists and generally superior to their EA colleagues, whom they view as too status quo, compliant and boring. Alienated assistants want to shake things up. They feel angry that their talents are not being recognized and they frequently feel exploited. I find it ironic that people who need star billing and recognition end up in the executive assistant profession, which requires one to be highly service oriented and committed to excellence, whilst remaining in the background. Despite their feelings of alienation, many Alienated assistants are usually visible and appreciated for their talents, but they shoot themselves in the foot by being churlish and confrontational. I’ve worked with assistants who behaved this way and were hostile towards me because I was getting the recognition they craved. What was the difference? Like them, I was a strong personality, unafraid to speak truth to power, willing to take charge, but unlike them I brought fresh energy and my attitude was positive. My professionalism, poise and polish were always on display. I was respected because I showed respect and upheld the dignity of my executive, the office of my executive and the organization. I earned the recognition I received. I understood that I was there to be of service and if I didn’t want to fulfill that fundamental requirement of the role of the EA, then I needed to find another profession. I implore Alienated assistants to let the spotlight be on your performance and not your attitude. Recognition and respect will follow. The Star Followers: Star followers are sometimes viewed as “leaders in disguise”. They think for themselves, are active, and have positive energy. If they agree with the leader, they give full support. If they disagree, they offer constructive alternatives that will help the leader and the organization. Star Followers are often referred to by their executives as “my right-hand person”. As described by Kelley, Star Performers are self-starters who can work without close supervision. They are independent problem solvers, who show initiative and contribute well. Star Performers are critical thinkers, highly participative, and habitually exercise superior judgment. Star Performers build their competence and focus their efforts for maximum effect. They take on extra work gladly, but first they focus on superior execution with their core responsibilities. They manage themselves well, they are committed to the organization and its purpose, always striving to collaborate, build relationships and be the best. Like exceptional assistants, they tackle overlooked problems that need addressing and present the issue along with a solution. Assistants, the Star Follower is the style that should interest you the most. Many of you are on the way, or already there. These traits will distinguish you from the millions of assistants in the profession and make you an invaluable addition to any executive suite. This is the caliber of assistant I wrote about in “The CEO’s Secret Weapon”. What Style Do Executives Prefer? When Robert Kelley asked executives if they could have a mix of the 5 Followership styles in their organization, which would they choose, a large percentage said they would like Yes-People. Why? 1) Yes-People are “doers”. They’ll do the grunt work. 2) Yes-People have limited aspirations and won’t pressure the leader for promotions, or quit for better jobs. Other executives wanted a mix: Start with a handful of Alienated because they keep the leader honest. Add a small group of Star Performers who would lead the charge, but avoid having too many Stars because they can get demanding and they think for themselves too much. Then split the remaining majority with Pragmatics who serve as a status quo base, and Yes-People who will get the job done. Very few executives wanted only Star Performers on their teams because they worried they could not keep them sufficiently challenged, or satisfied with their role. They believe Star Performers will get bored and seek greener pastures, leading to high turnover. I see this as a misunderstanding by executives because Star Performers, by their very nature, find ways to keep themselves challenged and motivated at work. So where does this leave administrative and executive assistants? Which category does your executive fit into? Do they want a star performer, or someone who will maintain the status quo and get the job done? Would you have the courage and have you built the relationship sufficiently to ask them? Despite Robert Kelley’s research with executives, I have yet to meet an executive who was happy with their assistant simply doing as they are told. A Yes-Person. They put up with it because it takes too much effort to make a change, it’s uncomfortable to have an honest conversation, or too difficult to push the assistant to step up their performance. They all tell me they want their assistant to show more initiative and interest in the business, in order to take some of the burden off the executive. Whichever of the preceding styles apply to you, keep striving for excellence. If you identify as a Sheep, look for ways to stand on your own two feet and build your confidence. If you identify as a Yes-Person, try to take yourself beyond relying on your executive for guidance and direction. You have what it takes so start using your talent. If you are a Pragmatic, get off the fence and coax a little disruption into your life. If your style is Alienated, life can be lonely. Try trusting life and remember, the world is not conspiring against you. If you are a Star Follower, congratulations! Don’t get complacent. Keep adding higher value. Become a star leader and mentor for colleagues who might need a sprinkling of your expertise and energy. Cut a little slack to those who are not as competent as you. It’s something I wish I had learned earlier in my career, because it serves to humanize you and make you more relatable. Assistants, take pride in your role as assistant to your executive or team. The best leaders are also the best followers. Know when to wear which hat and you will smoothly transition when you are called upon to play a leadership role. You are a vital component in the world of business and enterprise. Pick up your mantle and wear it with honor. 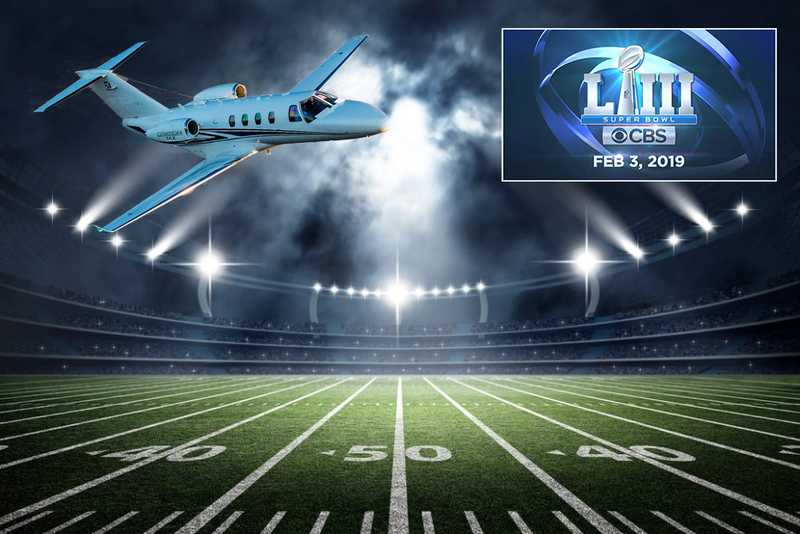 For the past three years, FlyPrivate has been a proud partner and associate of Jan Jones. Jan brings valuable, actionable information to EAs across the globe. We hope you enjoy her blogs as much as we do! Want more from Jan Jones? Check out her Q & A Series: Part 1-11! practical advice that is relevant to the day-to-day role of the executive assistant. We are Road Show ready! It is 2019 and the opportunities are endless! Time to go after them. The best way to accomplish these goals is to do so in person. 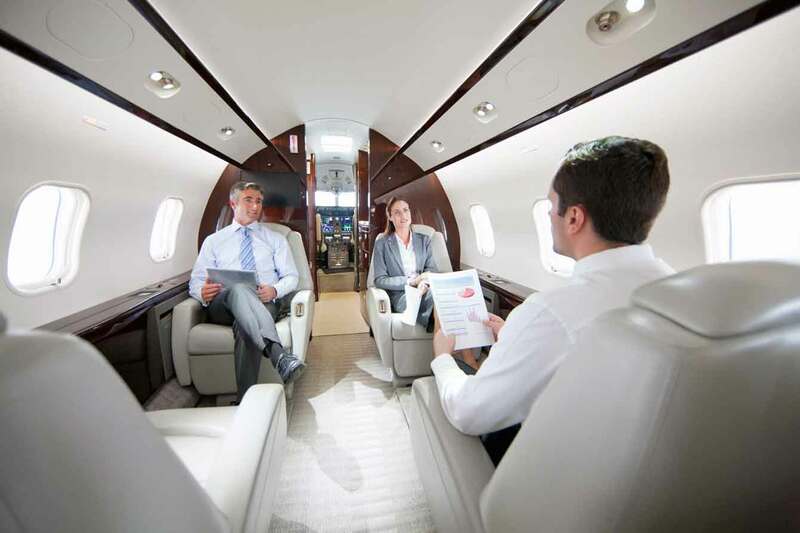 The best way to do this is with private aviation, “dollar for dollar” the best way to leverage an executive’s time. We magically make 3 days of travel happen in 1 day! We have been helping companies like yours for the past 20 years. Our Client Services Team specializes in business travel. Our best customers are experienced private fliers, who have been down the road of ownership, fractional ownership and jet cards. They have come to realize that they prefer to just pay for what they need, when they need it! That is where we come in. Our service is more cost effective than fractional, membership and other charter programs. Let us help you make the most out of your opportunities!